Muscle tone and mechanical properties alter with ageing. The effects of gender are less marked than ageing. Monitoring mechanical properties may help detect risk of premature frailty. Ageing needs to be considered when assessing effects of pathological conditions on muscle. Background: Age and gender effects on muscle tone and mechanical properties have not been studied using hand-held myometric technology. Monitoring changes in muscle properties with ageing in community settings may provide a valuable assessment tool for detecting those at risk of premature decline and sarcopenia. Objective: This study aimed to provide objective data on the effects of ageing and gender on muscle tone and mechanical properties of quadriceps (rectus femoris) and biceps brachii muscles. Methods: In a comparative study of 123 healthy males and females (aged 18–90 years; n = 61 aged 18–35; n = 62 aged 65–90) muscle tone, elasticity and stiffness were measured using the MyotonPRO device. Results: Stiffness was greater and elasticity lower in older adults for BB and RF (p < 0.001). Tone was significantly greater in older adults for BB but not for RF when data for males and females were combined (p = 0.28). There were no gender differences for BB in either age group. In RF, males had greater stiffness (young males 292 vs females 233 N/m; older males 328 vs females 311 N/m) and tone (young 16.4 vs 13.6 Hz; older 16.7 vs 14.9 Hz). Elasticity in RF was lower in young males than females but did not differ between the older groups (both males and females log decrement 1.6). Stiffness and tone increased with ageing and elasticity decreased. 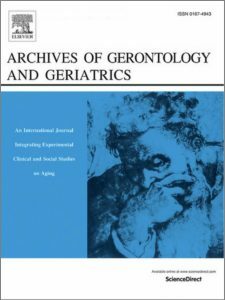 These findings have implications for detecting frailty using a novel biomarker. Age and gender differences are important to consider when assessing effects of pathological conditions on muscle properties in older people.